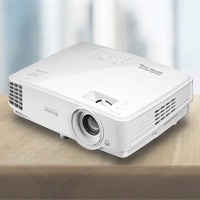 The BenQ MX661 is just the projector you need to perfect your presentation in all settings. 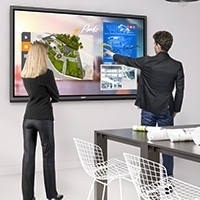 Featuring XGA resolution with 3000 ANSI lumens and 13000:1 high contrast ratio, the MX661 also offers multi display for ultra-smooth connection, PC-less presentation and 3D ready projection to keep your presentation lookin' great! As the first DLP brand to incorporate Philips' ImageCare technology into its projector lamp system, BenQ has taken a further leap, developing its own SmartEco Technology to perfect what DLP can do for energy saving in the 21st century classroom. Built with this brand new invention, the MX661 brings together uncompromised brightness, exquisite picture quality and optimized lamp life through innovative features. With the built-in speaker, the MX661 can be used as an audio system when it's on the standby mode. This saves you the trouble as well as the extra budget for getting a separate audio system. When inactive, the MX661 keeps power consumption to a minimum with 0.5W standby power, achieving what was once a challenge for ealier projector models. This technological advancement in energy saving certainly helps extend the projector lamp life and lower energy costs. Insert a WiFi dongle into the USB flash drive slot to display contents from your PC, MAC, iPhone and iPad to MX661 through Wireless Display feature. USB Drive Display allows teachers to teach light with a USB flash drive. All they need to do is save the files they need onto a USB flash drive and insert it in the MX661 to start teaching. File types supported are JPEG • JPG • BMP • Excel • Word and PowePoint. Subject to the terms and conditions set forth below, BenQ America Corp. (“BenQ”) warrants the BenQ Digital Projector (“Product”) you have purchased from a BenQ authorized reseller on or after May 1, 2010 in the United States to be free from defects in materials or workmanship under normal consumer use during the warranty period in the continental United States, Hawaii, and Alaska. If the Product becomes defective during the warranty period BenQ will, at its option, repair or replace the Product. BenQ may use new or reconditioned components or parts to repair the Product, or replace the Product with a new or reconditioned Product of the same or functionally equivalent model. BenQ Projector Standard Limited Warranty: Subject to the exclusions set forth below: Three (3) year from the purchase date by the original retail purchaser (the “Customer”) (except for lamps as specified below and refurbished units which have a separate warranty policy), parts and labor only (No advance replacement). Lamp Warranty: Lamp is guaranteed 1 year or 2000 hours from the purchase date by the Customer, whichever comes first. Return Merchandise Authorization Shipping: The Customer will pay shipping freight to BenQ or a BenQ Authorized Service Provider and BenQ will pay shipping freight to the Customer during the warranty period.
. Depot warranty service is available for all Products purchased and located in the continental United States, Hawaii, and Alaska. 2. You must contact BenQ Technical Support Center at 1-866-600-2367. 3. BenQ or BenQ Technical Support Center will attempt to resolve technical issues over the phone. If telephone resolution is not possible, BenQ or BenQ Customer Service Center will then issue a Return Merchandise Authorization (“RMA”) number to be used as a means of identifying the product returned. RMA authorization numbers are valid for thirty (30) days and void thereafter 4. You must return the product to BenQ unless otherwise directed by BenQ to a BenQ Authorized Service Provider. You must prepay any shipping charges, export taxes, custom duties and taxes, or any charges associated with transportation of the BenQ product. In addition, you are responsible for insuring any Product shipped or returned and assume the risk of lost packages. 5. All returned Products must be accompanied with (i) the original shipping and packing materials, (ii) a description of the BenQ product symptom and (iii) proof of the place and date of purchase. The RMA number must be clearly printed on packing slip and on the exterior-shipping container. All Products must be sent in secured packaging to avoid any shipping damages. 6. BenQ and BenQ Authorized Service Provider reserve the right to refuse and return, freight collect, Products (i) that are not covered by BenQ’s warranty; or (ii) for which there is no trouble found. Products delivered to BenQ or a BenQ Authorized Service Provider with an expired RMA may be refused and returned, without prior notice, to the Customer freight collect. 7. BenQ or BenQ Authorized Service Provider will use its best efforts to service Products within thirty (30) days after receipt of the Products at its warehouse facilities. For return shipments of the Products, except otherwise described herein, BenQ or BenQ Authorized Service Provider will pay the shipping cost and retain risk of loss until delivery to the Customer’s location as evidenced by signature collected by carrier. The Customer may designate only one location within the continental United States, Hawaii, and Alaska for return shipments. BenQ and BenQ Authorized Service Provider are not responsible for shipping or other delays beyond their control. Exclusions This limited warranty does not extend to any Product not purchased from the BenQ authorized reseller. 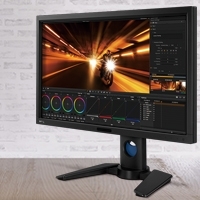 This limited warranty also does not extend to any product that has been damaged or rendered defective (a) due to normal wear and tear; (b) as a result of use of the Product other than for its normal intended use, or other misuse, abuse or negligence to the Product; (c) by the use of parts not manufactured or sold by BenQ; (d) by modification of the Product; (e) as a result of service by anyone other than BenQ or a BenQ Authorized Service Provider; (f) improper transportation or packing when returning the Product to BenQ or a BenQ Authorized Service Provider; (g) improper installation of third-party products; (h) improper environment (including improper temperature or humidity); (i) unusual physical or electrical stress or interference, failure or fluctuation of electrical power, lightning, static electricity, fire, or acts of God. BenQ is not responsible for damage to or loss of any programs, data or removable storage media. You are responsible for saving (backing up) any programs, data or removable storage media. Other Limitations EXCEPT FOR THE WARRANTIES SET FORTH HEREIN, BenQ DISCLAIMS ALL OTHER WARRANTIES, EXPRESSED OR IMPLIED OR STATUTORY, INCLUDING BUT NOT LIMITED TO THE IMPLIED WARRANTIES OF MERCHANTABILITY OR FITNESS FOR A PARTICULAR PURPOSE. ANY IMPLIED WARRANTIES THAT MAY BE IMPOSED BY APPLICABLE LAW ARE LIMITED TO THE TERMS OF THIS LIMITED WARRANTY. IN NO EVENT SHALL BenQ BE LIABLE FOR ANY INDIRECT, INCIDENTAL, SPECIAL OR CONSEQUENTIAL DAMAGES OF ANY KIND, INCLUDING BUT NOT LIMITED TO LOSS OF BUSINESS, REVENUE, PROFITS, INFORMATION, DATA OR USE, WHETHER IN AN ACTION IN CONTRACT OR TORT OR BASED ON A WARRANTY, ARISING OUT OF OR IN CONNECTION WITH THE USE OR PERFORMANCE OF THE PRODUCT, EVEN IF BenQ HAS BEEN ADVISED OF THE POSSIBILITY OF SUCH DAMAGES. YOU AGREE THAT REPAIR OR REPLACEMENT, AS APPLICABLE, UNDER THE WARRANTY SERVICES DESCRIBED HEREIN IS YOUR SOLE AND EXCLUSIVE REMEDY WITH RESPECT TO ANY BREACH OF THE BenQ LIMITED WARRANTY SET FORTH HEREIN. 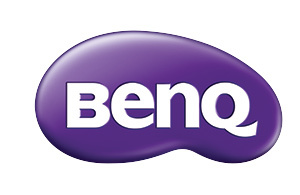 IF, DESPITE THE FOREGOING LIMITATIONS, FOR ANY REASON BenQ BECOMES LIABLE TO YOU FOR DAMAGES INCURRED BY YOU IN CONNECTION WITH THIS AGREEMENT, THEN, THE LIABILITY OF BenQ WILL BE LIMITED TO THE AMOUNT EQUAL TO THE INVOICE AMOUNT PAID BY YOU TO BenQ OR A BenQ AUTHORIZED RESELLER FOR THE PRODUCT. All prices, products, terms and conditions are subject to change without notice. Some states or provinces/jurisdictions do not allow the exclusion or limitation of incidental or consequential damages for consumer products, and some states or provinces/jurisdictions do not allow limitations on how long an implied warranty lasts. In such states or provinces/jurisdictions, the exclusions or limitations of this limited warranty may not apply to you. This limited warranty gives you specific legal rights. You may also have other rights that vary from state to state/jurisdiction to jurisdiction. You are advised to consult applicable state and provincial/local laws for a full determination of your rights. Please call Technical Support Center to report a defective product. Hours: M-F 8:30am – 5:30pm PST Phone: 866-600-2367 To avoid delays, please DO NOT SEND ANY BenQ product to BenQ or BenQ Authorized Service Provider without BenQ’s authorization.